Halloween might now be the most wonderful time of the year. 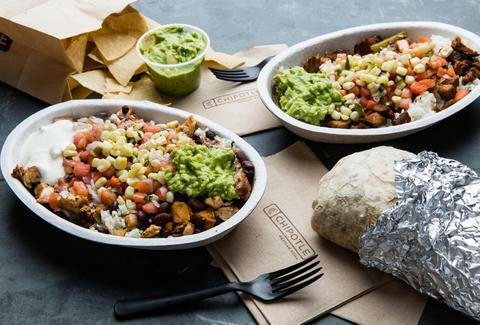 Our spookiest season was already off to a great start when Chipotle announced that it would be handing out $3 burritos to customers who show up in their costumes from 3pm till closing time this Halloween. While that deal's undeniably great, it only lasts a day and some folks don't want to be one in a sea of Boss Babies. To enter, all you have to do is text "BOORITO" to 888222 by October 31, aka Halloween. Unfortunately, only one entry is permitted per person (doubly unfortunate because BOORITO is a delightful word to type and say). Also keep in mind that there are sure to be more entries to this contest than grains of salt strewn across America by Salt Bae impersonators, but it can't hurt to try. Worst-case scenario, you can still get a $3 burrito. James Chrisman is a News Writer at Thrillist who firmly believes you should text your mother right now. Send news tips to news@thrillist.com and follow him on Twitter @james_chrisman2.